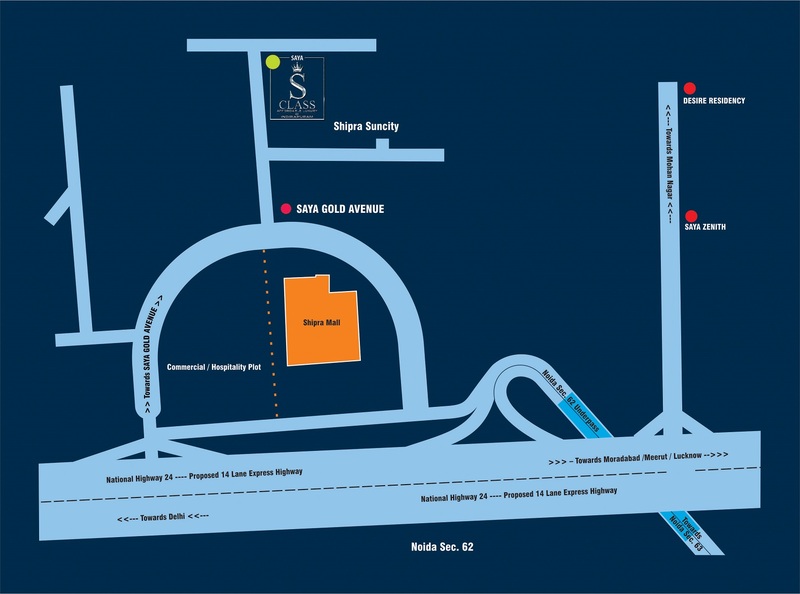 You are Here: Home >> Property in Noida >> Residential Property >> Saya S Class Indirapuram, Ghaziabad. Saya S Class , Indirapuram, Ghaziabad. 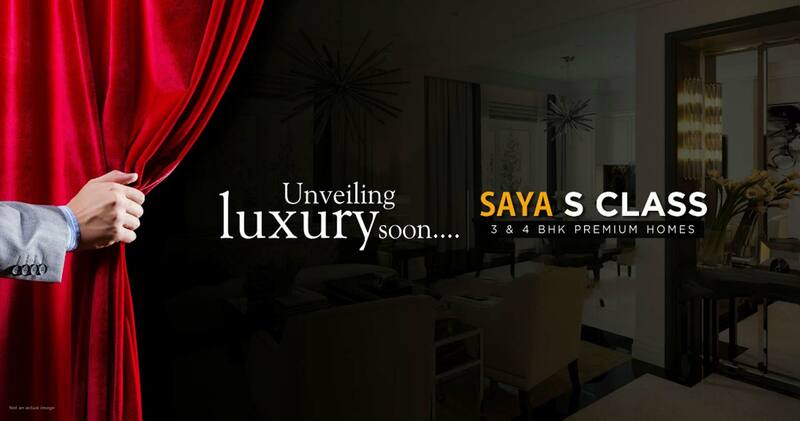 Saya group is the renowned developer in the realty market of Noida and Delhi/NCR. The group is acknowledge and famous for timely delivery with smart construction quality, which results in gaining the trust of the buyers and customers. after successful delivery of outstanding beautiful residential projects with all modern amenities and facilities in Ghaziabad and Noida, The group is returning with another residential project as Saya S class in Indirapuram, Ghaziabad. Saya S class are going to be having 70 % green environment with beautiful landscaping, playgrounds, parks, children play area. Project Saya S class is located in heart of Indirapuram, Ghaziabad. 500 mtrs away from NH24, Ghaziabad, 10 kms from ISBT and railway station, well connected with upcoming metro station therefore easily accessible from Noida, delhi and Ghaziabad. Satisfaction arrives in numerous forms. when aspirations return face to face with tangible reality in the form of desired home spaces, one among the life's satisfactory moments is realized. Structural perfection complementing the location, fine details creating way for comfort, peace of mind and an atmosphere of relaxed lifestyle is what goes into the home everyone longs for.